The Current U.S.-China Standoff Has A Precedent Chinese activist Chen Guangcheng is believed to be under U.S. protection in Beijing. It's not the first time China and the U.S. have faced this kind of delicate question. Something similar happened in 1989, and it took a year for the two countries to resolve it. As the U.S. and China seek a solution to the case involving a prominent Chinese activist, it's worth remembering this isn't the first time the two countries have waged this kind of negotiation. Chen Guangcheng, an activist who's been blind since he was a small boy, escaped house arrest in an eastern Chinese village and was taken to Beijing, where he's believed to be under U.S. protection. 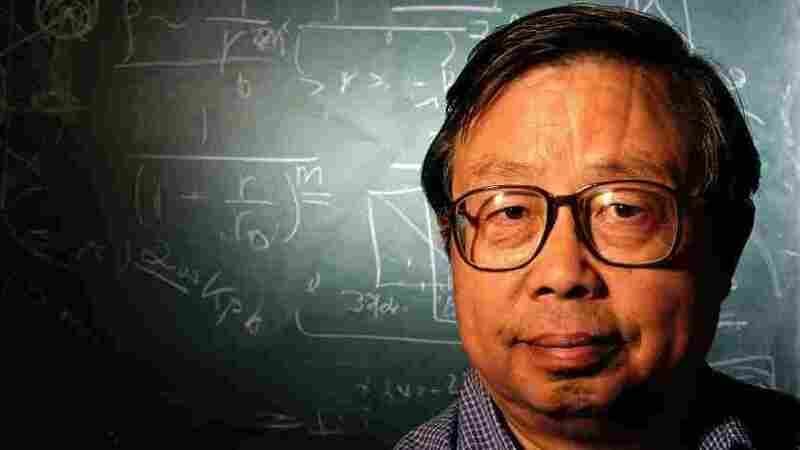 A similar, high-profile case took place in 1989, when astrophysicist Fang Lizhi and his wife took refuge at the U.S. Embassy in Beijing. Chinese police were after Fang because his speeches and writings helped propel the protests at Tiananmen Square that year — protests that were ultimately put down when Chinese troops fired on the demonstrators, killing hundreds. Fang and his wife stayed in the U.S. Embassy for nearly a year before a deal was reached that allowed them to leave the country. Fang went to Tucson, Ariz., where he taught physics at the University of Arizona. He continued to speak out on human rights, but never went back to China. He died earlier this month in Tucson, at age 76. Such cases are always sensitive. But the timing of Chen's case is particularly so, since Secretary of State Hillary Clinton and Treasury Secretary Timothy Geithner are headed there this week. Chen could decide that he does want to speak out, and that could put the U.S. in a difficult position — almost like being a pirate radio station in the middle of Beijing. U.S. officials are trying to resolve the issue before Clinton and Geithner get there Wednesday, but Fang's case shows how complicated and drawn out this could potentially be. "When the Chinese back themselves into a corner like this — with foreigners involved and a lot of foreign scrutiny, they can become very obdurate," says Orville Schell, head of the Center on U.S.-China Relations at the Asia Society in New York. Schell says one reason it could take a long time to resolve Chen's situation is that he has apparently indicated that he wants to remain in China and continue his activism as a free man. Two decades ago, Schell visited Fang and his wife during their extended stay in the U.S. ambassador's residence. Schell notes that Fang had agreed to leave the country, and to refrain from speaking out while the asylum negotiations were taking place. "Chen could decide that he does want to speak out, and that could put the U.S. in a difficult position — almost like being a pirate radio station in the middle of Beijing," Schell says. China expert Susan Shirk says the contexts for the two cases are quite different. "But the fears that China's leadership has today about how to handle this challenge stem from Tiananmen Square, because it's about maintaining unity in the leadership," she says. China's top party officials were hoping for a smooth transition of leadership this year, with President Hu Jintao and Premier Wen Jiabao handing power to a younger generation. The whole process has been complicated by the scandal surrounding the fall of a powerful provincial official, Bo Xilai, and his wife, who is suspected in the death of a British businessman last November. "My guess is that the leadership is struggling with how to get a consensus on the Bo Xilai case, so this is a sensitive time," says Shirk, chairwoman of the 21st Century China Program at the University of California, San Diego. Shirk notes that things will get more difficult if Chen's fate is not resolved before Clinton arrives. Clinton highlighted Chen's case last year when he was under house arrest, and used his case as an example of China's failure to uphold its own human rights laws. For that reason, Shirk says, Clinton will probably have to meet with Chen during her visit, and may make some statement about his situation. "And the Chinese are going to hate that," she adds. Chinese activists tend to lose their influence if they leave the country. One thing that complicated Fang's departure in 1990 was that arrangements had to be made to get his family out with him, including two sons and a daughter-in-law. That could be a problem in Chen's case as well, since he also has family and associates who might be persecuted while he is taking refuge. It's not clear whether Chen would be willing to leave China, or perhaps go to Hong Kong, where he might have more freedom. "Chinese activists tend to lose their influence if they leave the country," says Jeffrey Wasserstrom, a professor of Chinese history at the University of California, Irvine. Fang retained some influence in exile because he already had an international reputation as an astrophysicist before he became a dissident, Wasserstrom says. It might be more difficult for Chen, a self-taught lawyer who came to prominence because of his activism. Americans need to remember that the Chinese government is not a monolith, Wasserstrom says. When there's abuse of power, "the central government likes to blame it on local officials, but now that Chen's case has become so high profile," Wasserstrom adds, "it's very hard for them to explain why they didn't intervene." In the meantime, Schell, of the Asia Society, says he thinks U.S. officials are handling the matter about as well as they can. "They're shutting up, they're not saying anything, not making inflammatory public statements," Schell says. "What are at stake here are U.S.-China ties. It's not an optional relationship."